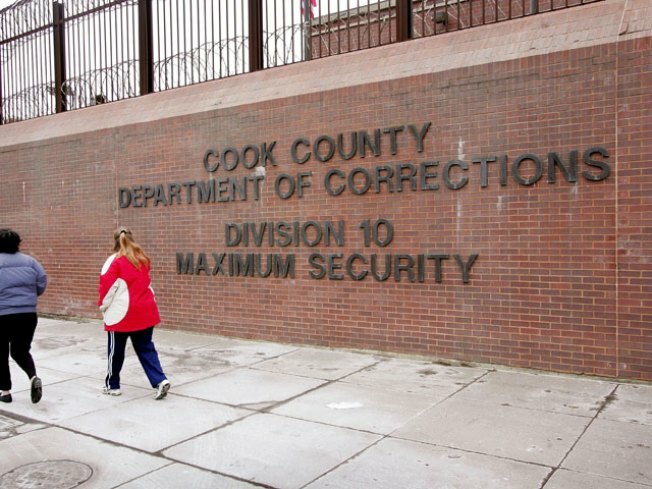 A man who was trapped in a room for more than 30 hours while trying to visit his son at Cook County Jail over the weekend is seeking surveillance footage and witness statements ahead of a potential lawsuit against the county. Farad Polk visited the jail early Saturday evening to see his son, who shares the same name, according to the petition for discovery filed Thursday in Cook County Circuit Court. His son had been transferred from the Division 11 holding area at 3015 S. Calfornia Blvd. to Division 9 -- an area he’d never been to -- which is on the compound of the jail at 2854 W. 31st St, according to Cara Smith, executive director of the jail. When he entered, the father was processed and directed to “go down the hallway and turn to the right.” But he went through the wrong visitor door, which was propped open, and it shut and locked behind him, Smith said Tuesday. A contractor had been installing new cameras in the room earlier in the day. The door and walls to that room are too thick for anyone to have heard the man banging to let him out, Smith said. "There’s about two feet of cement and two steel doors between him and the outside," Smith said. He was "deprived of food, water, bathroom facilities and any contact with the outside world" for more than 30 hours before he eventually broke off part of a sprinkler head early Monday, which caused flooding in the room and activated an alarm, according to Smith and the petition. Firefighters responded about 1:30 a.m. and were able to free him. Polk suffered a cut to his thumb that required stitches and "extreme mental anguish," the petition says. He is seeking witness depositions, video footage and photographs of the scene from the jail, and wants to be allowed back into the jail with his attorney and a photographer to inspect "all relevant areas" within the next two weeks, the petition says. "While we thank God he’s safe, we’re looking at every single aspect of this case," Smith said. "This has never happened, to my knowledge, before."